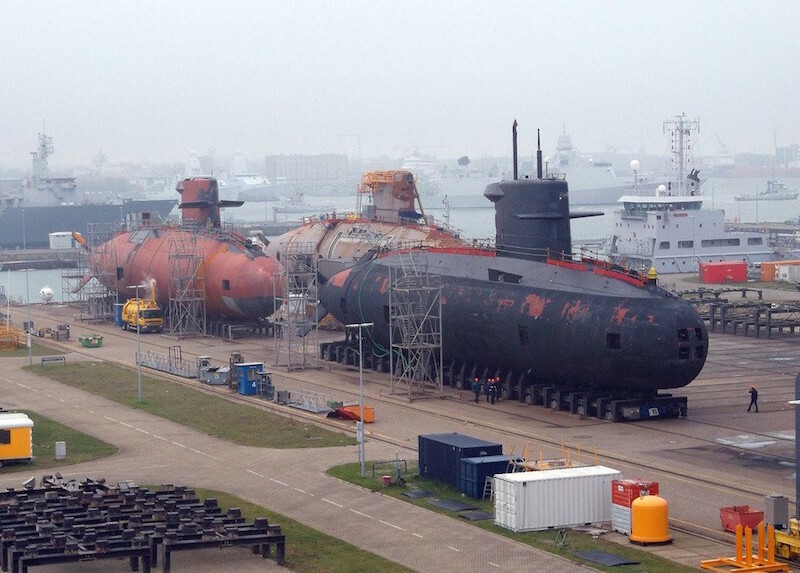 Saab and Dutch shipbuilder Damen Shipyards Group have joined forces to develop an expeditionary submarine for the Netherlands’ Walrus Replacement Programme (WRES). The partnership was highlighted today in Paris during a joint press conference at the Euronaval international naval exhibition on the proposed Expeditionary Submarine. “Replacing the Walrus-class submarines requires a unique approach. Swedish modular submarine design and production techniques coupled with the Dutch shipbuilding tradition bring together the capabilities needed to deliver an assured operational capability,” said Gunnar Wieslander, Senior Vice President, head of business area Saab Kockums. “The result of the collaboration will be a customer-adapted submarine for expeditionary missions. This will ensure that the Royal Netherlands Navy continues to play an important role in European waters as well as globally,” said Hein van Ameijden, managing director of Damen Schelde Naval Shipbuilding. The Expeditionary Submarine builds on the capabilities of the Swedish A26 and puts into practice the experience of the Swedish designed Collins-class submarine in-service with the Australian Navy. In addition, the Walrus replacement will also benefit from the operational lessons reflected in the Swedish Navy’s Gotland Mid Life Upgrade. As a result, the Expeditionary Submarine will be equipped with state-of-the-art technology whilst benefiting from de-risking on three submarine classes. Saab and Damen are thereby creating one of the most modern Air Independent Propulsion (AIP) submarines in the world, which if selected, will be done in consultation with the customer using a ‘design to cost’ approach. The production process will see sections made in Sweden and then assembled at Vlissingen in the Netherlands. Having secured the cooperation of many Dutch companies, Saab and Damen are set to enhance the domestic submarine competence. This cooperation will also extend beyond the Dutch submarine project, as the two companies see a growing market for this type of advanced conventional submarines.